Major congratulations are in order! You have developed every element you need in order to write a sequential treatment of your story. Unlike a synopsis, a treatment is a complete explanation of your story in the exact order in which every plot event, character interaction, thematic point and genre element comes into play. The only two differences between a treatment and your actual novel are that the wording of the treatment is informational rather than literary and it contains no dialog unless it is so essential to an understanding of the story that a direct quote is required. 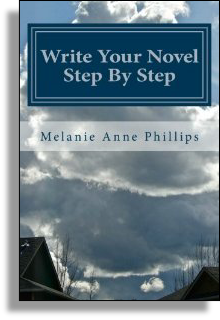 So, for this step, refer to your recently revised synopsis from the last step for the overall mood, atmosphere and flow of your story and refer to the material in the chapters you’ve created for the details and sequence. Use these sources to fashion a point-by-point relating of your story using conversational language. While your treatment can be any length necessary to completely relate all the details of your story in sequential order, as a rule of thumb, most treatments range between ten and fifty pages, depending upon the length and complexity of the novel and how thoroughly you describe each story point. Once you have completed this task, It’s time to move on to the final step – the actual writing of your novel!